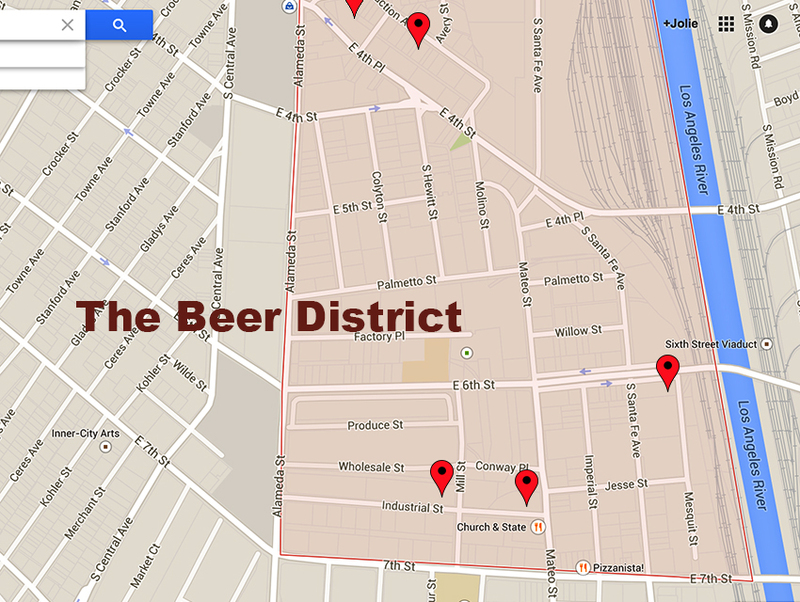 The Arts District is turning into even more of a beer hot spot. The Arts District is looking more and more like the city’s beer district every day. Wurstkuche dropped their delicious meat tubes and killer European beer menu on the neighborhood way back in 2008, Angel City Brewery has been open here since 2011, and the beer slingers at Little Bear started pouring Belgian quads and gueuzes in 2012. And two brand-new breweries are in the works just blocks away from each other in the rapidly gentrifying Downtown neighborhood. Lenzo has experience on the user end of the beer world—Blue Palms is one of the best beer bars in L.A. But he says that he and Moses will need some help when it comes to creating signature brews. And so they just brought on ace beer-maker Devon Randall to lead the brewing team. Randall is leaving Solana Beach’s Pizza Port, where she’s won several national awards for her creations. Iron Triangle Brewing: Owner Nathan Pacetti is cobbling together several adjacent spaces on Industrial Avenue that will eventually be transformed into a 40,000-square-foot brewery focused on, you guessed it, IPAs (and barrel-aged beers). Pacetti broke ground on the massive facility earlier this year, and posted on Instagram that the first phase of the brewery should be open to the public this summer, August at the latest. Pacetti has signed on talent from The Bruery to help launch his first line of beers, which bodes well for fans of complex and delightfully weird beers. You can also look for Arts-District-adjacent Dry River Brewing (they’re setting up shop just across the L.A. River) to open sometime in 2015. And as we all know, three breweries is enough to call it a pub crawl. Do yourself a favor and make it a Saturday. I know I’m counting down the days.